With so much overtime and so little down time, squeezing in all your beauty appointments can become a bit of a struggle. 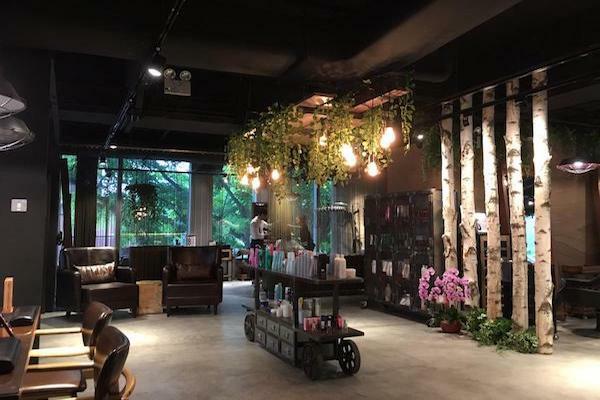 But more than just having all your beauty needs from haircuts to manicures under one roof, booking an appointment at one of these 14 salons may entitle you to more perks than you might guess! 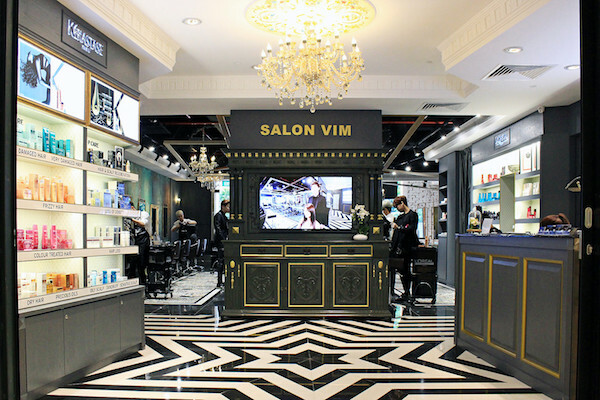 Offering custom tailored hair and scalp solutions such as ‘hair contouring’, Salon Vim is always up to date with the latest hair trends and technology. The team also specialises in creating subtle, wearable versions of trendy hair styles/colours for office ladies to express their style. 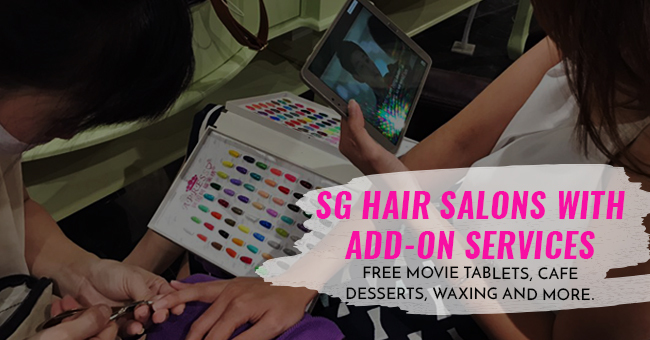 Additional services: Complimentary hair and scalp consultations, classic manicures and pedicures (extra S$35.00 and S$45.00 respectively) and complimentary Galaxy Tab S2 Tablets with access to free digital magazines and Korean dramas. 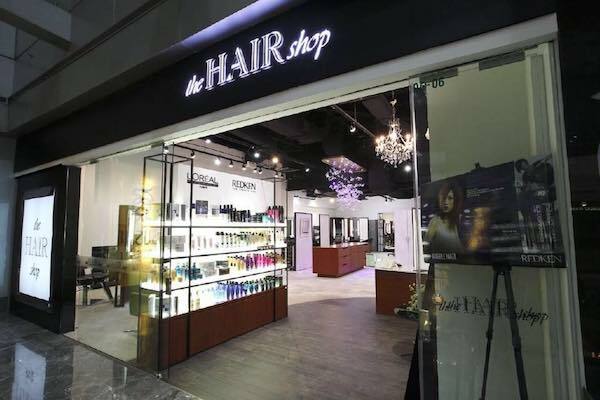 Their Wisma outlet also boasts a changing room so guests can slip into their evening gowns after styling. 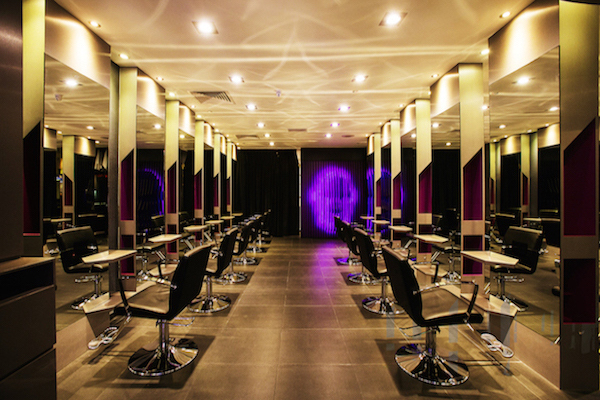 For a truly enchanting experience, visit Leekaja Salon. They’ll make you feel right at home by providing you with robes, slippers, phone chargers, WiFi and even an umbrella in case of rain. 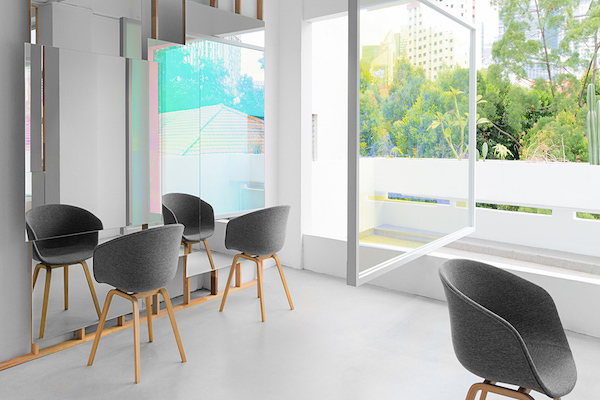 Additional Services: Often mistaken for a cafe by passersby, Leekaja will satisfy your sweet tooth with complimentary coffee, teas, freshly squeezed juices and Korean desserts. They’re a one-stop beauty solution where nails, eyelash, brow, and makeup services are also offered. 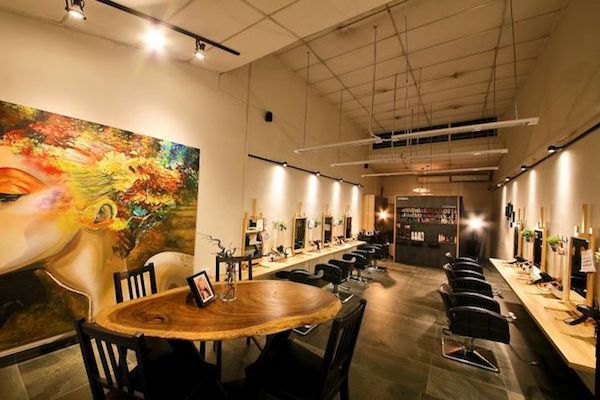 From the abstract art pieces to easel designed workstations, there’s no question on how Picasso salon got its name. Giving a tailored experience to each customer, their stylists will take into account your face shape, skin tone, scalp and hair condition before getting to work. Additional Services: Choose to get your makeup done as well, and you’ll walk out looking like a masterpiece. 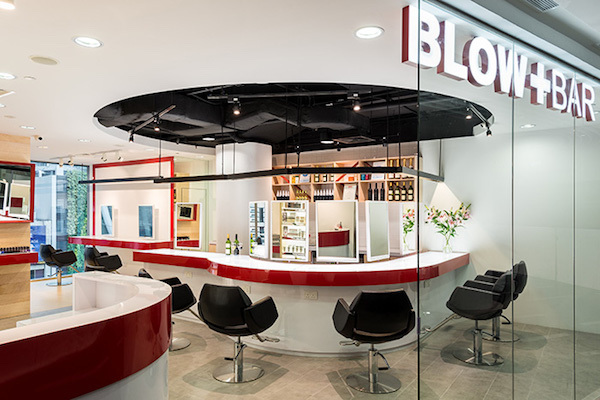 Never have a bad hair day again with Blow+Bar, Singapore’s first Lifestyle Grooming Bar. 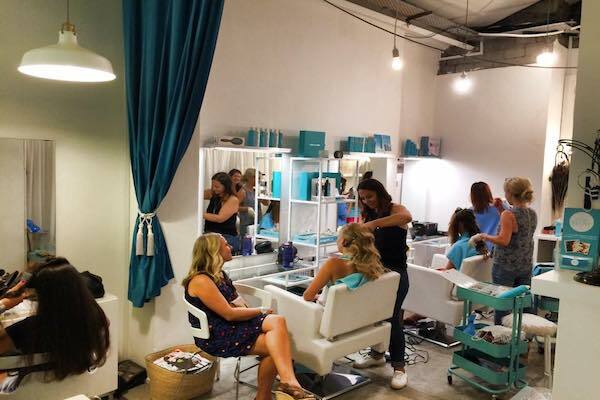 Here you can enjoy a blowout and manicure while catching up with your best babes in a bar setting. Busy office ladies can also enjoy 30-minute services. Additional Services: Complimentary glass of wine or bubbly to truly let your hair down while you get your nails done. Apart from their Japanese hospitality, you’ll get to pamper yourself with a cup of hand-roasted artisan coffee and shrimp crackers from their refreshment bar. Additional Services: Choose to add a 40-minute hand or foot massage to your hair service to completely unwind. Or splurge to get the most enviable nails detailed with Swarovski rhinestones, hand painted designs, 3D art or airbrushing. For those experiencing hair loss, stylists at The Hair Shop specialise in designing natural looking hair pieces and wigs that even Kylie Jenner would approve of. Additional Services: To complete your look, get a manicure and pedicure done while their artists do your makeup. If you start feeling #hangry or want to avoid smudging your nails, their friendly staff will help you get food and beverages from the various restaurants and cafes in Paragon. Known as “Your Place” in French, this luxury boutique requires their stylists to have at least 10 years of experience or exceptional skills in their area of expertise. Additional Services: Get ready for your event while attending it! Chez Vous offers Mix, Mingle, and Makeover parties complete with a varied selection of hors d’oeuvres and cocktails. To throw your own beauty bash, bookings must be made at least a month in advance. 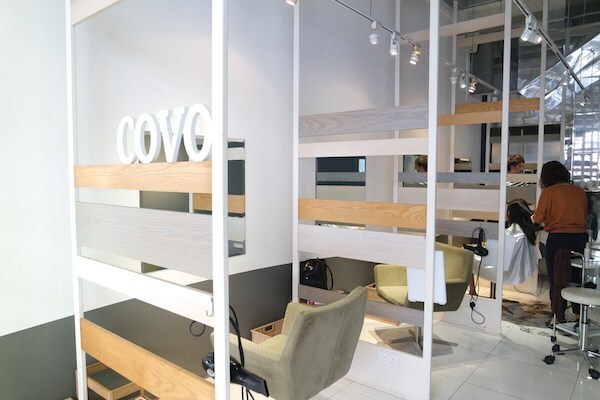 Covo’s philosophy is to deliver modern haircuts, damage-free treatment, and a private space for you to relax in. You’ll be attended to by a stylist from start to finish for a more personalised session. Additional Services: To keep your locks silky smooth, Covo salon treats hair with carbonated spring water to improve blood circulation and deeply cleanse the scalp. The best part: this special treatment costs no additional charge. 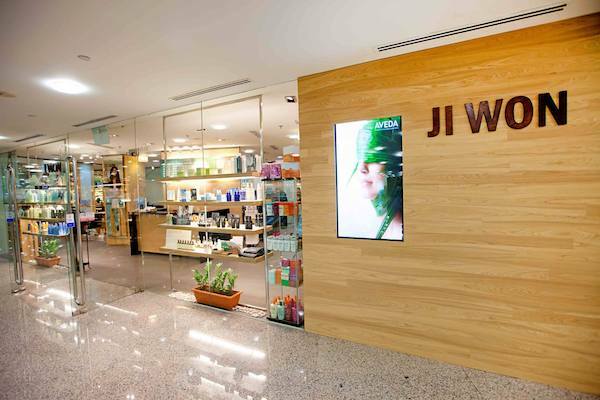 Ji Won is bringing exclusive Korean expertise, style and creativity to Singapore through their services. Only using products with plant-derived ingredients, you’ll naturally love this place. Additional Services: Aside from your usual cut, Ji Won offers hairstyling and makeup services, and can even prep you on your wedding day with their bridal service. With a holistic approach to beauty and wellness, J’s Salon makes sure you feel as good as you look. With the well-being of the customer in mind, their stylists will speak to you one-on-one to understand your lifestyle, and tailor treatments and cuts to best suit your needs. Additional Services: Get lost for the day in the Secret Garden ambience while enjoying hair treatments, waxing, massages, facials and makeup services. While you’re there, try a cup of their signature red date tea. Passionate about making a difference in the beauty industry, Trimmings believes that the treatments they give should be honest and simple to enhance the beauty that is uniquely yours. Additional Services: Full body waxing services and eyebrow shaping/tinting are offered—but stay for a spray tan, massage and facial to make your friends question if you were holidaying in Maldives for the day. 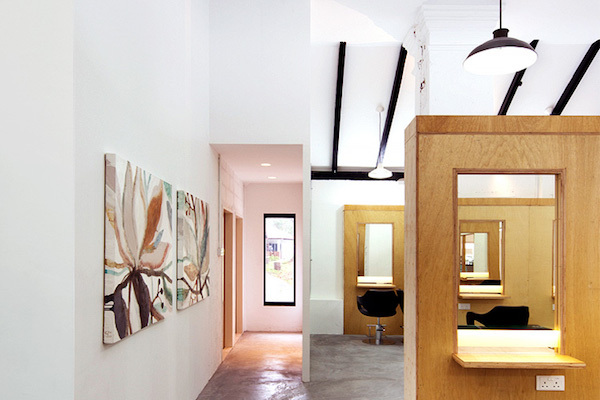 Despite its minimalist decor, this Japanese salon puts all their vibrancy into a top-to-toe makeover for you. Additional Services: Sharing the same space with their sister company, kiyone+LIM, you can get Holographic nails and coloured eyelashes to take your new look up a notch. Perfect for girls who never seem to have time, the Big Blow gives you the choice to visit their studio or have them come to you. The mobile salon is perfect for when you don’t feel like leaving the comfort of your own home. Additional Services: Get glammed up with the whole squad! The Big Blow can accommodate large parties offering makeup, nail and hair services. 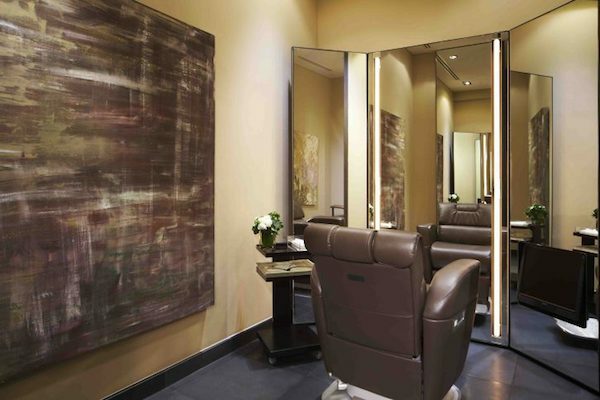 Kimrobinson’s breathtaking salon space screams luxury and comfort, making it no surprise the salon has received praise by countless magazines and celebrities for their exceptional salon experience. Just remember to treat yo’self responsibly, because the salon comes with a luxury price tag as well. Additional Services: With a large team of professional artists, you can get your makeup done for your wedding day or any social function. In addition, they also offer eyebrow embroidery. It’s not always easy to make time when you’ve got a million things to do, but these salons can help ease that struggle so you can walk out looking and feeling fab.